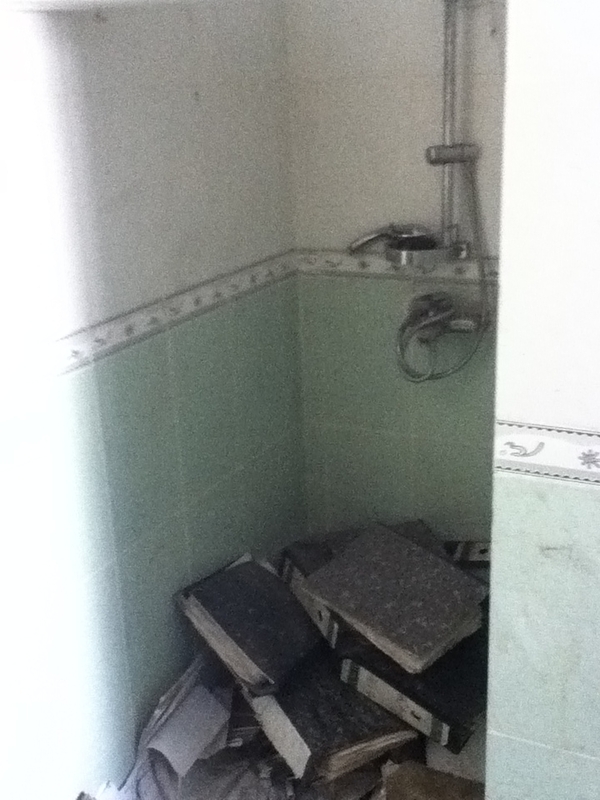 NTM-A is following this doctrinal anarchy to the letter. Some years ago, doctrine was written for the ANSF. Since that time, hoards of Americans, Europeans, and other supporters have flooded the country (6-12 months at a time) and not only disregarded that doctrine but layered their own view of how an Army (or Police) ought to run. Given the disdain the average soldier has for doctrine, their view of how things run is unlikely to be anything similar to anyone else, even if from the same background! 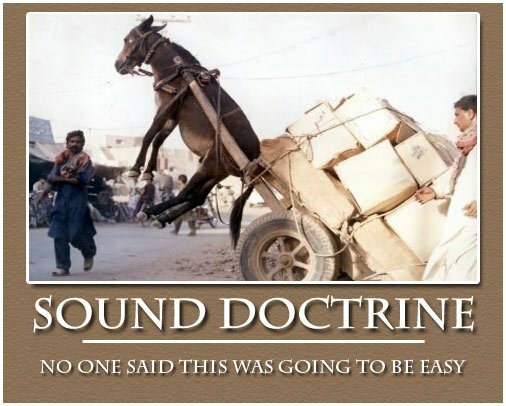 So instead of following any doctrine (good, bad, or indifferent), we train them from the beginning to disregard it and “fight on the fly.” This probably works satisfactorily for the Taliban, Mujahideen, Hakkani Network, and warlords. Given the precedent for new militaries, the entire U.S. effort will collapse under its own weight without a well established and understood doctrine forming the principles and common language from which all forces can operate (see FM 3.0, Appendix D). Any redneck would be proud of this boneyard. 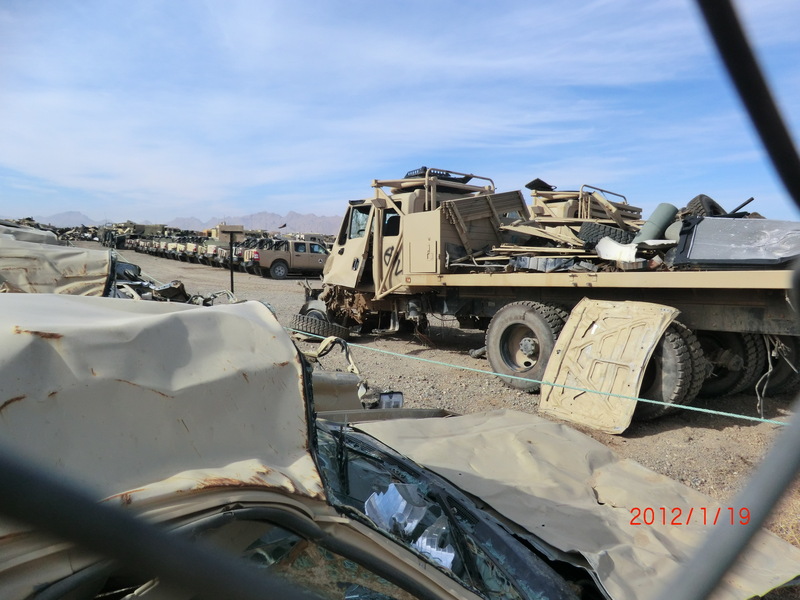 If your Ford ever needs a part, you’ll probably be able to find it in Afghanistan. If you ever wondered how Ford Motor Company survived without the bail-outs given to GM and Chrysler, it may have had something to do with the sky-rocketing demand. At $50,000 for a crewcab and $30,000 for a 2-door, it doesn’t take much uptick in business to keep the balance sheet in the black–even if the product was built in Thailand. According to BG Tim Ray, the Afghans have suitable “stick and rudder” skills. Unfortunately, their ‘wheel and brake’ skills aren’t quite as advanced. Not to be left out, the Afghans haven’t had much success driving International Harvesters either. But there aren’t quite as many to wreck, so their numbers are a little lower. Of course, every boneyard must be colocated with a bar–it keeps supply AND demand booming. 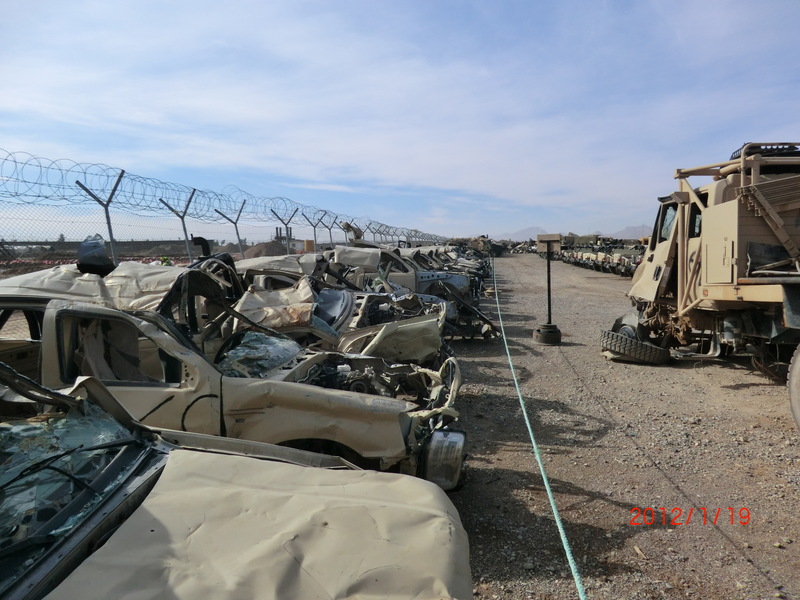 Southern Afghanistan Economics: Combine a drinking establishment with a boneyard and Class IV yard and you have a recession-proof business. How do you say “Bubba” in Dari? 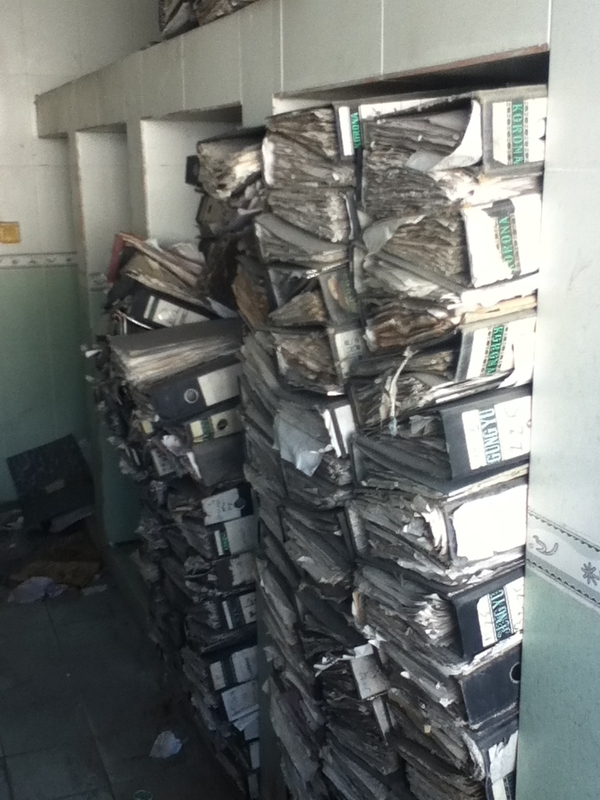 As inconceivable as it may be, Afghans could teach our politicians (and military) a thing or two about bureaucracy. Imagine requiring the Secretary of Defense’s signature to purchase this truckload of supplies. 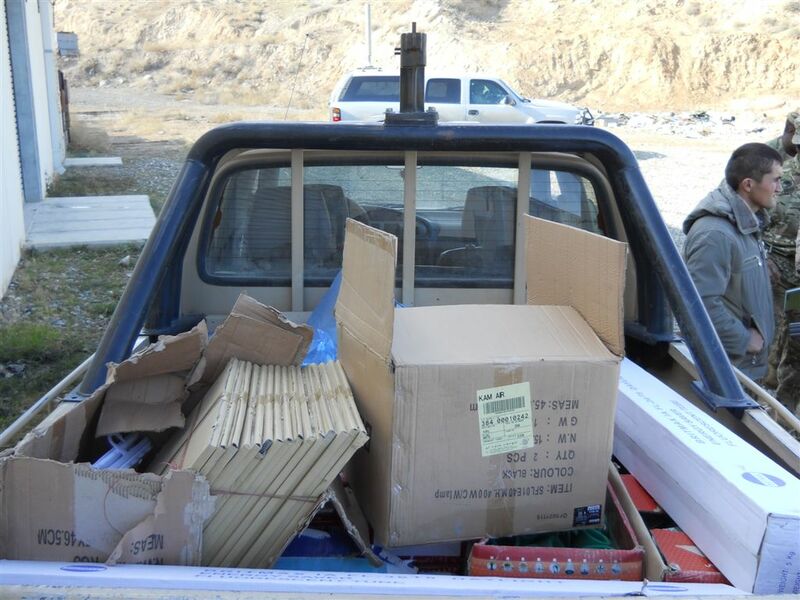 The $2,000 of building materials required 26 signatures and was ultimately bottom-lined by the Afghan Minister of Defense. A similar amount of supplies purchased by the U.S. government is regarded as a micro-purchase and could be signed-off by an E-5 with a government-issued credit card! NTM-A and IJC may struggle getting the ANSF to build terrain models and use Port-o-lets and HMMWV‘s properly, but there is no problem developing multi-layered hierarchies and worthless flow-charts that inhibit real work while promoting ample opportunities for corruption. In what has become a recurring theme, fielding the logistics and support units (the ones that take the longest to train) after the combat troops goes against lessons learned from Vietnam and beyond. So it doesn’t take a genius to predict that building these vital enablers for the Afghan National Army will be a challenge. The ANA logistics system remains heavily reliant on coalition support. Because of this, ANA logistics capability is a major focus for 2011. NTM-A/CSTC-A and MoD are working on a logistics strategy that addresses structure, policy, training, acquisition/procurement, supply, maintenance, distribution, and logistics automation. With the coalition providing nearly all support, there is minimal motivation to exercise and use a new system that will undoubtedly trip and stumble during the early stages of development. Still “working on a logistics strategy?” Combine that with “. . . MoD continu[ing] to implement new policies and processes in personnel and logistics systems” (p. 21), establishing a self-sufficient Afghan National Army will be elusive. Having ordered an additional 30,000 troops to Afghanistan in December 2009, President Obama has now ordered the “Surge Recovery,” the first 10,000 troops home by the end of December and another 20,000 home by the end of September 2012. This follows the plan to end the combat mission by 2014 while shifting to an advisor-only mission. Recently though, there has been talk of even moving-up the mission-shift to 2012. 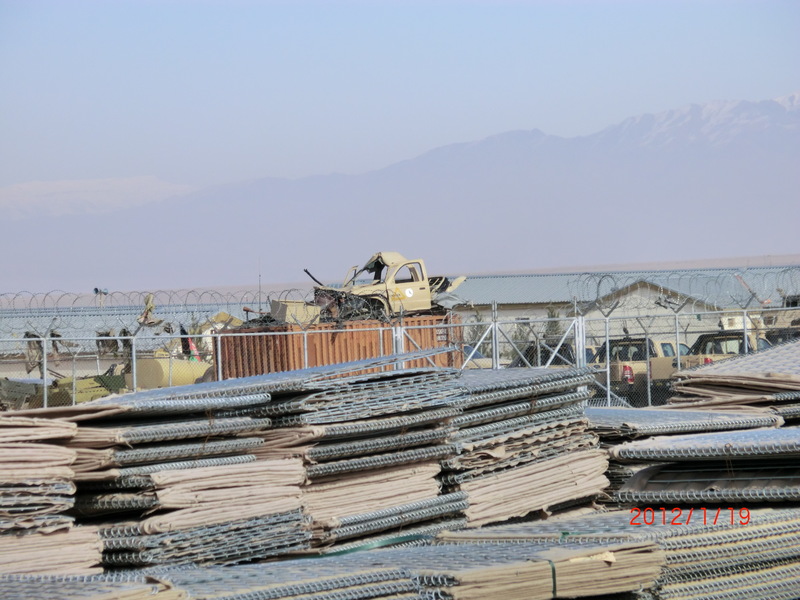 And there is the recent discovery by the media that we need to get logistics right for the Afghan Army (and Afghan National Security Forces at large): Afghan Army’s next hurdle: logistics. This is no surprise to anyone familiar with the Counterinsurgency Field Manual, FM 3-24. A significant lesson learned in Vietnam was that logistics are should be among the first things established in a COIN environment. The ANA is continuing to grow at an accelerated rate, focusing on infantry-centric forces to provide immediate security-capable boots-on-the-ground, while consciously delaying development of many of the combat support and combat service support enabler units until a later date. So, the logistics are just getting up and running and we are leaving–sounds about right. No need to look for intelligent life here. What is a war without a slaughterhouse? There happens to be an active Afghan National Army (ANA) slaughterhouse in Kabul (and a new one planned) in contrast to the slaughterhouse that sets the stage for the Kurt Vonnegut novel. The stories do, however, converge around the out-of-this-world plots and characters. Since the ANA is mostly fielded, why is demand growing? With “dudes” like this in the war-zone, who needs troops? The WaPo article cites this as a necessary step in making the ANA self-sufficient: “[T]he ability of these forces to master the logistics of supplying and sustaining themselves — to keep, for example, the water buffaloes flowing — is perhaps their biggest obstacle to self-sufficiency.” But the ANA doesn’t raise the livestock, they buy it off the street like the countless other butcher shops in Kabul and everywhere else in Afghanistan. And are plastic-handled boning knives and band saws more sustainable than hatchets and tree-trunk chopping blocks (or even dwarves climbing into water buffalo cavities)? According to GEN Petraeus’ own FM 3-24, Counterinsurgency Field Manual, logistics should be among the first things established. We’ve now established an army (and a police for that matter) that has minimal logistics capability, relies nearly completely on U.S. support, and we are now pulling out of the country. Sounds like novels filled with lessons to re-learn.